Private donations are vital to our ability to build and expand innovative programs, launch tomorrow's leaders, promote discovery with delivery, and meet global challenges. Our goals are lofty and exciting, and we need your help and continued generosity to achieve them. There are several funds you can give to, starting with the general Earth, Atmospheric, and Planetary Sciences fund which supports areas of greatest need. In addition, you may give to the repair and renovate fund, scholarships and fellowships, professorships, research, and more. 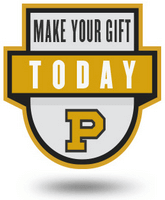 We also offer endowed funds with naming opportunities as well as planned (estate) gift options. Please see the giving links below, and thank you for your generosity to the Department!